From May 17 to July 30, 2013 visitors of Science Centre AHHAA get a unique closer look at the secrets of fusion energy! 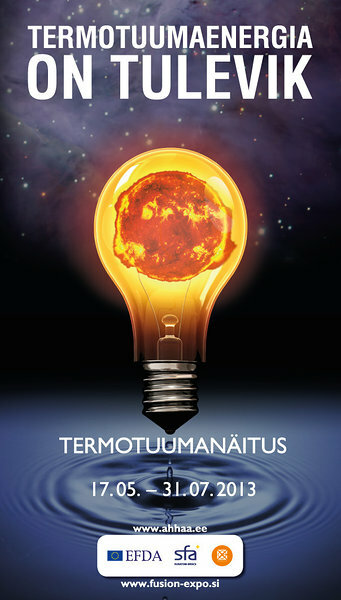 Ahhaa is proud to present an exhibition on fusion energy. Europe&apos;s traveling exhibition Fusion Expo is funded by EFDA and managed by the Slovenian fusion laboratory. Fusion Expo tells you a story about fusion energy and related studies in Europe. Come and find out why fusion energy will be such an important source of energy in the future and explore multiple hands-on exhibits! Read more about Fusion Expo here.